Your aircraft’s gyroscopic instruments need knowledgeable maintenance and careful treatment. They are the fastest moving component in a piston powered aircraft, spinning at up to 24,000 rpm—that’s 400 revolutions a second—and are among its most critical systems. They are the gyroscopic instruments, as used on aircraft from the 1920s onward, and still available to order on some new aircraft. Gyro instruments, the attitude indicator, turn indicator/coordinator and directional gyro, are your way of knowing whether you are tilted, which way you are pointing and if you are turning. Your life depends on them at night or in cloud, when any attempt to fly by intuition or ‘seat of the pants’ is highly likely to end in spatial disorientation, loss of control in a matter of seconds and destruction. Gyroscopic instruments are like rare Swiss timepieces—the high point of the watchmaker’s art, and beautiful in their complexity, finesse and accuracy. Unfortunately, they share another characteristic with mechanical watches and clocks—they react poorly to even the mildest rough handling. This is particularly true of air-driven gyros powered by a vacuum pump. Electric gyros are slightly more robust, but still require careful handling. Bearing failure is the most common cause of gyro instrument failure. It can be caused by any one or more of the following factors. Normal wear due to time in service. Adverse wear due to the instrument ingesting dirty air via a missing or defective gyro/or vacuum relief valve filter in a vacuum system. Contamination by debris from a failed vacuum pump in a pressure system where the filter was inadequate and/or the system was not purged correctly following pump failure. There are several commandments to obey when servicing gyro instruments. Do not place gyros directly on any hard surface. Place a generous foam pad between any hard surface and the gyro instrument. Gyros should never be removed from the instrument panel while they are running or spinning down. A gyro can take 10 or more minutes to run down. Some gyros, if removed while running and tilted more than 20 degrees during removal, may develop ‘gimbal lock’ and damage the bearings. During removal from the instrument panel, treat a malfunctioning gyro instrument with the same care and respect due to a new or serviceable one. It is easy to think of a gyro that has become unserviceable as one destined for the scrap pile, but that is usually not true. However, poor handling will turn a relatively minor fault in a gyro to a major fault that can result in the unit being scrapped. Gyro instruments often, but not always, give clues of imminent failure. 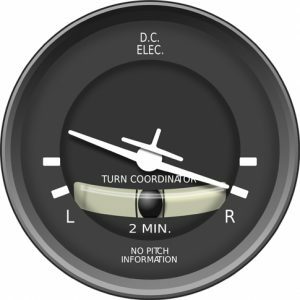 Heading drift in the directional gyro or poor artificial horizon bar pitch/roll alignment are pre-indicators of failure that are often only apparent in flight. If you notice these, you should report them for your own sake or for the sake of the next people on board the aircraft. On the ground, the sound and vibration a gyro instrument makes during its run-down period, after air or electric power is removed, can reveal much about the instrument’s condition. Unlike gyros, the vacuum pumps that drive them (by ‘sucking’ filtered air past turbine buckets machined into the gyro itself) tend to fail suddenly and without warning. 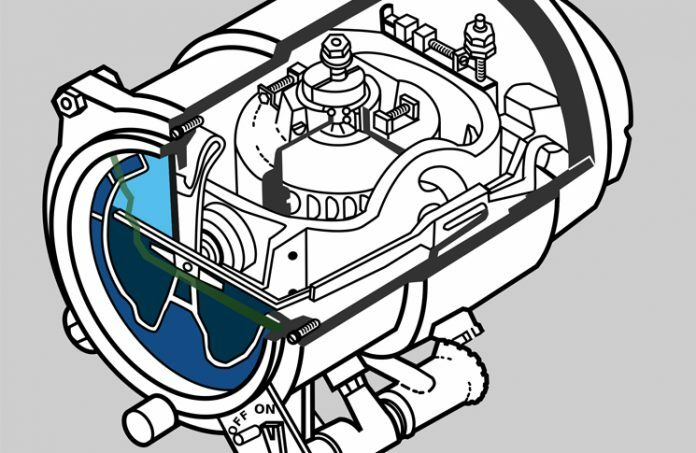 Dry vacuum pumps have a distinctive way of failing or ‘failure mode’. It is ‘fragmentation and seizure of the pump rotor and vanes resulting in the frangible coupling between the engine and the pump shearing’. This failure can result from several factors. Incorrect rotation direction (which is why you should never turn a propeller backwards). Being dropped or damaged before installation. Time expired or worn pumps. Signs that a vacuum pump may be heading for trouble include any sort of vice or clamp marks on the body. Most now have prominent stickers saying, ‘do not vice’, and any wrinkling or discolouration of this sticker or any other sticker on the pump body is a sign of overheating, another dangerous condition. The vacuum (or pressure) pump is a mechanical device which is prone to wear and the pressure can drop. This can lead to the dangerous ‘fix’ of keeping on adjusting the vacuum regulator to increase the reading of the vacuum gauge, back to its as-new setting. However, this merely forces the worn vacuum pump to work harder to overcome what is likely to be a worn and constricted vacuum system. The most likely result of this is that the pump will begin to overheat and result in catastrophic in-flight failure. There are a couple more things you can do if you fly an aircraft with mechanical gyro instrument systems. If you have a stand-by electrical vacuum pump, functionally test it from time to time to see if the air-powered gyros keep running. Brush up on your partial panel IFR technique, and learn which of your panel instruments are air driven and which electrically driven. It’s knowledge that could be your last chance in cloud or on a dark night.